File System is a mechanism used in the O/S environment for storing the data in a systamatical order into a storage device. 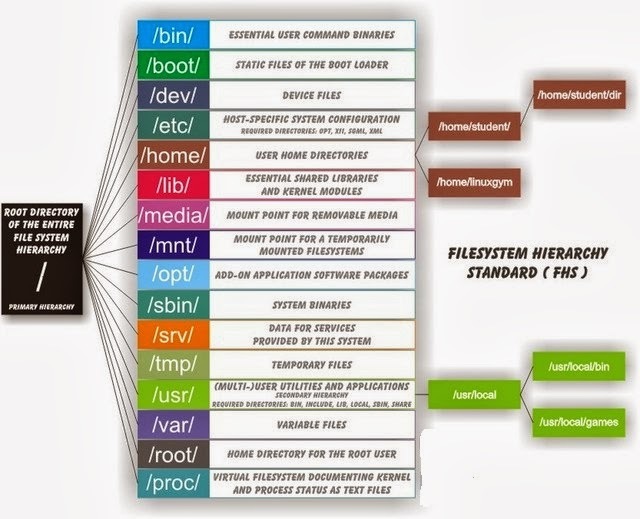 UNIX/LINUX follows hierarchy file system standard (HFS) . In this file system all other directories mounted under the directory called root ( / ) . /root --> Super User (or) Administrator home directory, it represented by " ~ "(tilde) symbol . All other directories are mounted under it. (10) /proc : This directory contains current running process information. (13) /media : Removable media is stored under this directory.